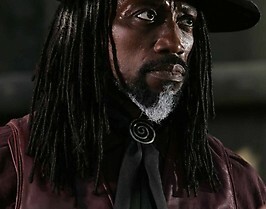 New Images from Gallowwalkers With Wesley Sni..
Wesley Snipes’ Latest Film Gallowwalks .. The Trailer for Gallowwalkers Starring Wesley..
VMI Worldwide announced today that it has sold North American rights of the action-sci-fi-horror movie Gallowwalkers, starring Wesley Snipes to Wrekin Hill Entertainment as well as Japan to Presidio and the Middle-East to Phoenicia. 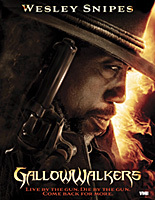 Gallowwalkers, starring Wesley Snipes, is directed and written by Andrew Goth and Joanne Ray, executive produced and produced by Jack Bowyer and produced by Courtney Lauren Penn, and Brandon Burrows of Boundless Pictures. With the European Film Market nearly upon us, we’re hearing a bit of buzz about Gallowwalkers. Yesterday, we learned VMI was taking it out for sales and it’s up for distribution grabs. Today, we have a look at the poster art. Head inside for a look! 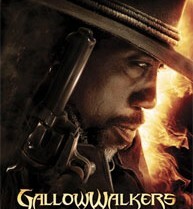 Gallowwalkers, starring Wesley Snipes, is directed and written by Andrew Goth and Joanne Ray, executive produced and produced by Jack Bowyer and produced by Courtney Lauren Penn, and Brandon Burrows of Boundless Pictures. The film is the story of a mysterious gunman, Aman (Snipes), the son of a nun, who breaks her covenant with God to ensure his survival. Her break with God curses her son to be hunted by all those who die by his hand – When he takes revenge on a gang that murdered his love, the gang rises as a cursed crew of undead warriors and hunt him mercilessly, seeking their ‘dying’ revenge. Slow day, so we’ll run a story about a movie for sale… But this is more than just the usual “this movie is for sale” item because it concerns a Wesley Snipes project we’ve been following seemingly forever. VMI Worldwide announced today that it is representing worldwide rights to the action-sci-fi-horror movie Gallowwalkers, starring Wesley Snipes (the Blade trilogy) and will be introducing the movie to international buyers during the 2013 European Film Market in Berlin. It will be the first time in over 3 years that the One Billion Dollar box office star Snipes will have a new movie up for acquisition and screening at a market.